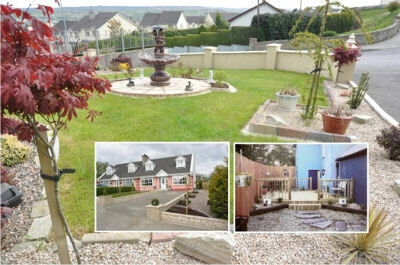 Landscape by Design is a landscape gardening business based in Letterkenny, Co. Donegal. With more than 30 years landscaping experience, we have been innovative and creative in both the design and execution of landscaping projects for both residential and commercial customers. 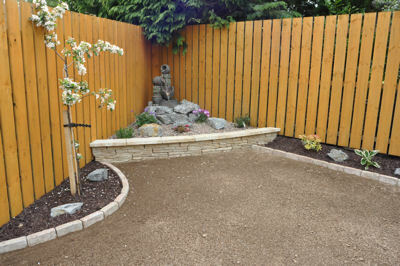 The design and construction of your garden is our main principle service to our customers. Within that is the provision of high quality designs with high quality workmanship and materials. Working with us in the consultancy stage of your garden is guaranteed to give creative, maintainable and impressive results. Our staff are all very highly experienced and qualified personnel, and are there at all times to help and assist you in making your outdoor space achieve its potential design possibilities, from its conception to its completion. The Setting of Patios, Paving and Paths. Supply of Quality Materials and Machinery. Supply of high quality Top Soil. The application of professional Pruning Services. The removal of Organic material for recycling. Professional Plant and Design choices.